Whatever the size and scale of your project, Marshalls can help with your waste management solutions – whether you’re providing for schools, offices or designing a new space in the public realm. We can consult with you to provide litter bins in traditional or contemporary designs to suit any backdrop or location, and they’re available in a range of materials, styles and colours. Whether cast iron, plastic, stainless steel or concrete, you’re bound to find a litter bin to complement your space. Choose the Albion litter bin for function and versatility or opt for the Bellitalia Pegaso Precious Stone with its sleek, high-gloss polished finish for a luxurious addition to a modern space. As one of the leading entity of this domain, we are engrossed in providing supreme quality Litter Bins. 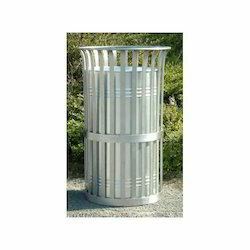 These litter bins are obtainable in several designs, diameters, shapes and lengths. The offered litter bins are used heavily in industrial and domestic sectors. Litter bins are manufactured by our deft professionals using optimal quality stainless steel metal alloys and sophisticated techniques. Apart from this, clients can avail the litter bins according to their business requirements. Since our beginning, we are engaged in presenting a wide range of excellent quality SS Litter Bins. 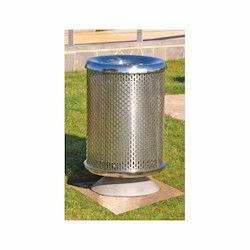 These litter bins are used in a variety of domestic, industrial and commercial and industries. The offered litter bins are used in various areas in the domain. Also, the given litter bins can last till several years depending up on the usage. At our manufacturing unit, we develop all kinds of litter bins according to the industry standards as well as per the specifications given by the clients.